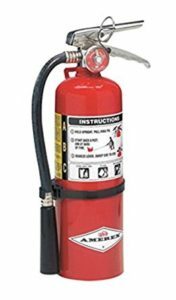 ABC or Multipurpose extinguishers utilize a specially fluidized and siliconized mono aluminum phosphate dry chemical. It chemically insulates Class A fires by melting at approximately 350°F and coats surface J to which it is applied. It smothers and breaks the chain reaction of Class B fires and will not conduct electricity back to the operator. 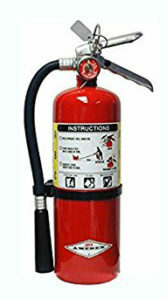 For more information on types of fires and extinguishers, please see our information page.